Bosch Automotive Diesel Systems Co. plans to build its second diesel injector plant in Qingdao in east China's Shandong province. 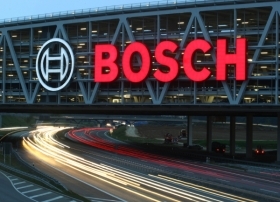 Robert Bosch GmbH's joint venture with Wuxi Weifu High-Technology Group Co. will mainly produce diesel fuel injectors for light- and heavy-duty trucks as well as passenger vehicles, the partners said in a statement. Under a memorandum of understanding signed with the local government in Qingdao last week, the 110,000 square-meter plant will be located in Qingdao's National High-Tech Industrial Development Zone. It will be built in two phases with a total investment of 1.6 billion yuan ($254 million). Bosch Automotive Diesel Systems was established in 2004 in Wuxi in east China's Jiangsu province. It is a 67-33 joint venture between Bosch and Wuxi Weifu, a Chinese diesel injector manufacturer. It already operates one injector plant in Wuxi. Compared with a gasoline car, a diesel car equipped with clean diesel technology from Bosch can reduce fuel consumption as much as 30 percent while generating 50 percent more torque, according to Bosch. Bosch ranks No.1 on the Automotive News Europe list of the top 100 global suppliers with worldwide original-equipment automotive parts sales of $32.5 billion in 2010.